It was November 2014 when the UO’s Health Promotion and Obesity Prevention Initiative received $20 million in philanthropic support from UO alumna Connie Ballmer and her husband, Steve. 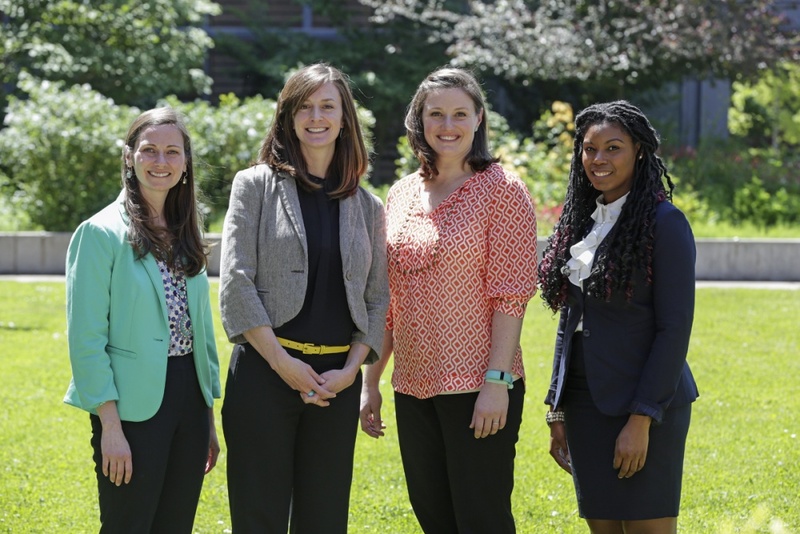 In February of 2016, cluster director Beth Stormshak announced that four new junior faculty members would be joining the initiative. The seasonal cycles of academic hiring, and the particularities involved in the high-stakes game of cluster hiring, often control the hiring clock for the provost’s Clusters of Excellence Program, say those involved in the initiative. Academic hiring cycles often begin in the spring with the creation, approval and posting of jobs. Those hiring announcements reach potential candidates in the summer and early fall, leading to October and November interviews. These give way to November and December job offers and, hopefully, signed contracts in January. In most cases, new faculty members don’t start work at their new institutions until the following academic year. So when the obesity prevention cluster received the go-ahead in November 2014, Stormshak didn’t rush to post job openings; she looked ahead to spring. The first job posting went live in May 2015, the first job applications were reviewed in September and the first candidate arrived at the UO for a “job talk” research presentation on Sept. 15. “There is a season to it,” said UO biologist Eric Selker, director of the Center for Genome Function cluster. It was that way for Jeffrey McKnight, the genetics specialist from Seattle’s Fred Hutchison Cancer Institute who will join the Center for Genome Function on Sept. 16 as its first new hire. The hiring committee chose to focus on filling only one of its three open positions with the best possible candidate during the 2015-16 hiring season rather than rushing to fill all three open slots. One advantage of drawing out the process, Selker said, is that McKnight will play an active role in selecting his new colleagues. In the case of the recently funded volcanology cluster, Paul Wallace, professor of earth sciences at the UO and head of the cluster, is preparing to begin summer recruitment for the two new open positions. He will circulate a job description to the volcanology community, posting the call for applications on public email lists and scientific society websites. Wallace hopes to have both positions filled by the start of the 2017-18 academic year.